Raised panel plates are foam-backed polyester labels with permanent, adhesive. 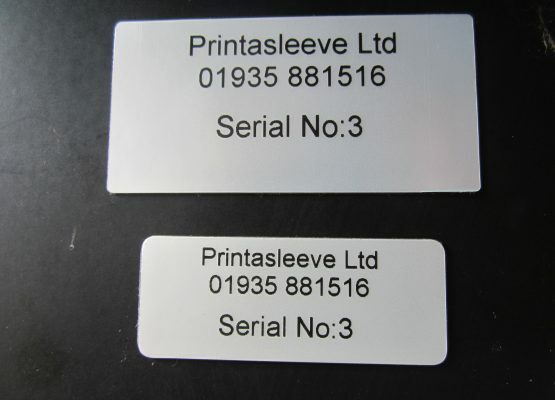 They are designed to replace engraved plates for the identification of instrument panels, control panels, electrical cabinets, racks and any other property. 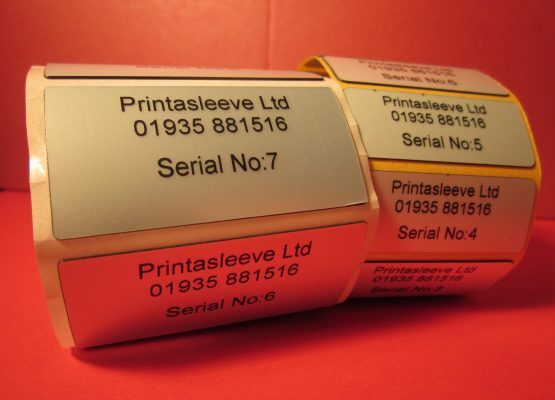 Supplied in rolls, they are available in white, silver and many other colours and dimensions on request. 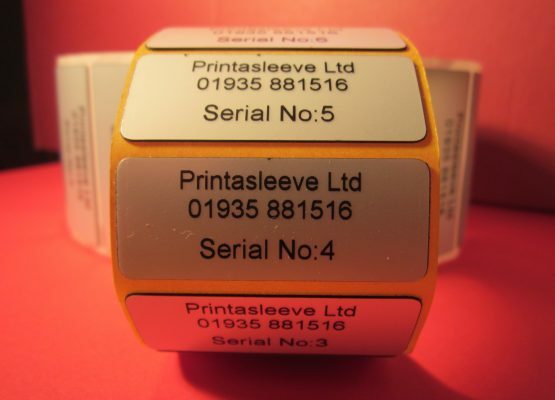 They are available unprinted for in-house thermal transfer printing or pre-printed according to your particular specification. Raised Panel Plates consist of a polyester film coated with a permanent pressure sensitive acrylic adhesive mounted on a compressible foam backing. 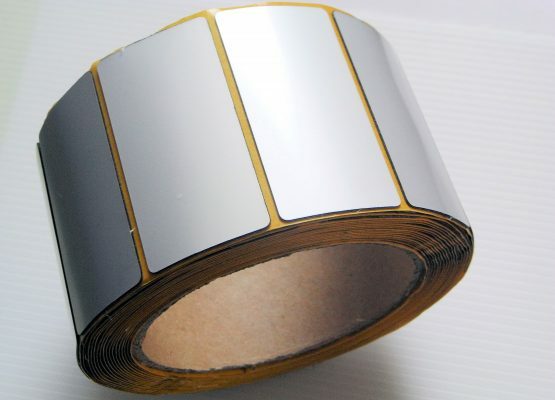 They are suitable for indoor or outdoor applications, offering excellent resistance to ageing weathering and UV radiation as well as to many chemicals and solvents including alcohols and diesel oil. 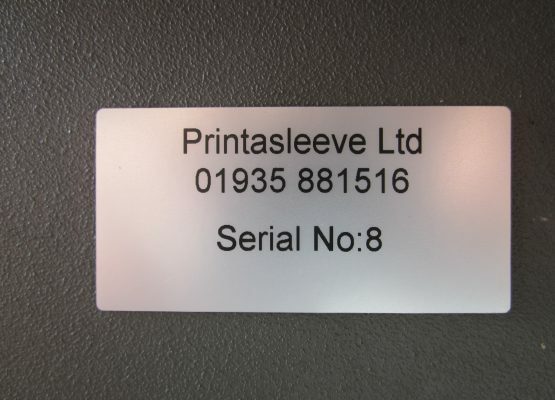 Raised Panel plates save time and money by allowing you to print exactly what you want when you want them rather than having to order pre-printed name plates and holding stock. This process is a least 7 to 10 times faster than engraving and delivers up to 50 percent cost reduction. 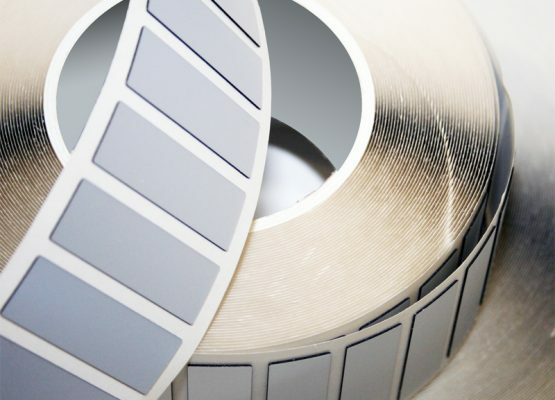 The final article is a professional glossy-finished, durable label with print resistant to scratching, smearing and rubbing.